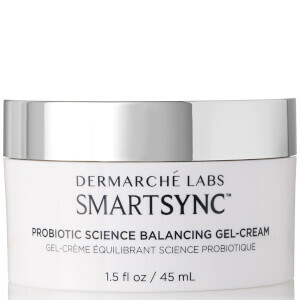 Dermarché® Labs is an innovative skincare company with a rich dermatology history and a passion for creating products you can trust. Breakthrough innovations and dermatologist-proven results are at the core of every promise we make. Our story begins with decades of experience in dermatology and aesthetic medicine. The founders of Dermarché Labs emerged from the founding leadership team at Medicis Pharmaceutical Corporation, the largest independent dermatology company in the United States. We created Dermarché Labs to bring that same scientific rigor and patient-focused commitment directly to consumers in the non-prescription skincare and beauty industry. In a marketplace, too often characterized by dramatic claims without dramatic outcomes, our goal is to earn your trust by delivering an outstanding product experience. Simply put, our products will deliver what we promise, or you get your money back. We call it our real-results guarantee and you will call it the best-looking skin you have ever known. We are dedicated to bringing proprietary, cutting-edge technologies to market. 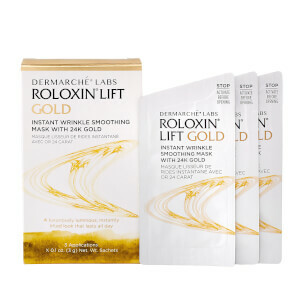 Our premier product launch, Roloxin® Lift, creates a new category in facial skincare by instantly reducing the appearance of wrinkles and pores in minutes, leaving the skin with improved texture and a luminous, even skin tone. Roloxin Lift’s breakthrough, patented technology relies on an active matrix of natural silica particles to produce its immediate tightening, brightening and smoothing effect. From the pioneers of dermal fillers comes a revolutionary hyaluronic acid that painlessly helps improves the appearance of skin’s natural volume over time. Dermarché Labs FullFill™ delivers injectable-size hyaluronic acid with our patented DermaDeep™ technology. DermaDeep helps improve the look of facial folds and wrinkles by allowing for a deeper, faster penetration of hyaluronic acid than previously possible with a topical. The founders of Dermarché Labs emerged from the founding leadership team at Medicis Pharmaceutical Corporation. Medicis was known as The Dermatology Company® because of our unwavering commitment to science and the specialty of dermatology. Revolutionary dermal fillers Restylane® and Perlane®, as well as Dysport® (a competitor to Botox® Cosmetic), were among the products pioneered by Medicis.